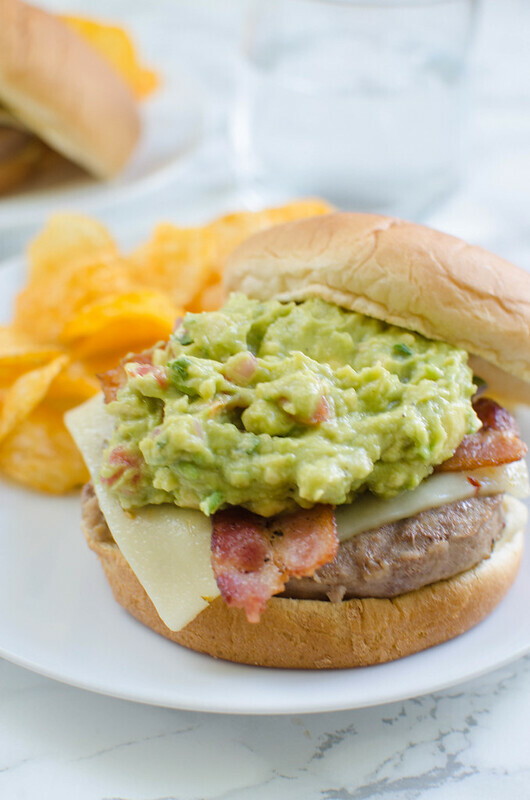 Guacamole Bacon Burger – delicious turkey burgers topped with pepper jack cheese, crispy bacon, and creamy guacamole. So spicy and delicious! 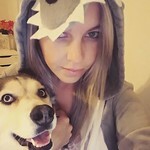 Heeeey guys! Happy almost Friday! We’ve been spending a lot of time at the lake and I’ve been doing a whole lot of stress baking. I need a vacation. Good news though: the guy I’m dating got my grill working the other day and made these amazing burgers. I love these Jennie-O 1/3 lb. Seasoned Turkey Burgers so much. They’re in the freezer section of the grocery store and they all come individually wrapped, so you don’t have to worry about burgers going to waste if you just want to cook up 1 or 2. I have 3 boys so burgers don’t ever get wasted around here but apparently there are households that don’t eat 6 burgers at once. Plus, you don’t even need to defrost them. Just pop the frozen burgers on your grill! Or under the broiler or a pan on the stove! Besides that, they’re also pre-seasoned and have 65% less fat than beef burgers! I was totally craving a spicy burger when I made these so I topped them with a slice of pepper jack cheese and then some salty, crispy bacon, and finally some gucamole. 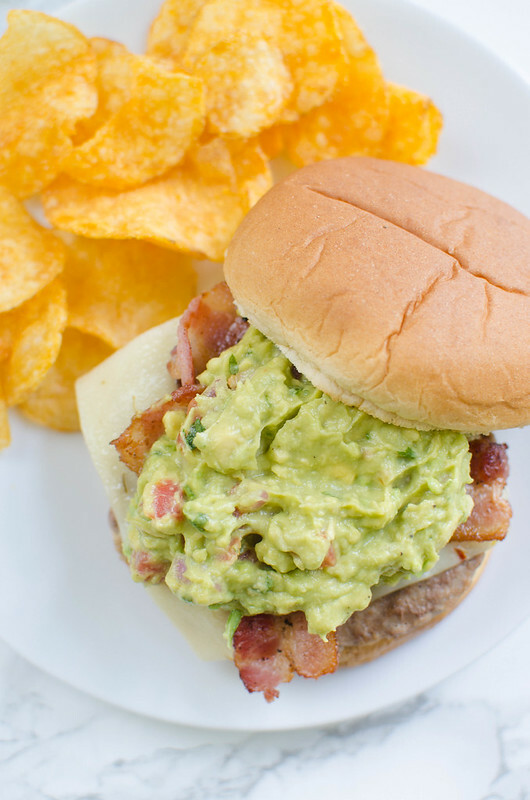 I definitely buy my guacamole from HEB but here’s a recipe if you want to make your own. 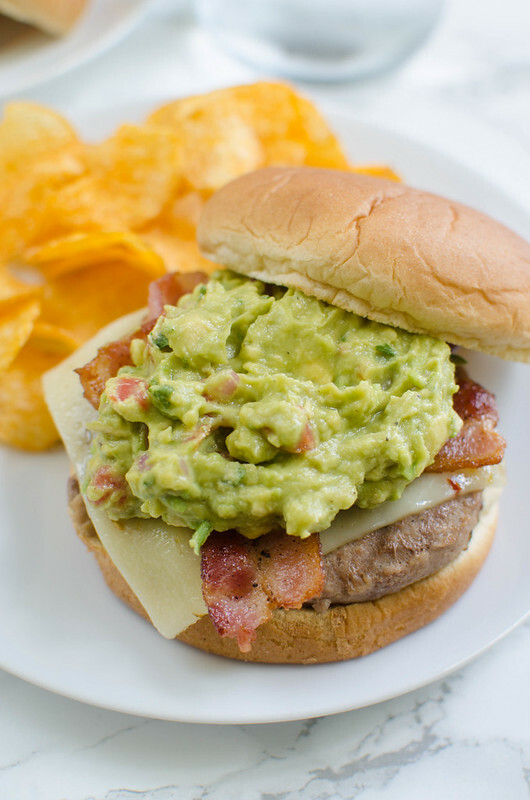 If you’re not into the pepper jack, a sprinkle of cotija cheese on top of the guacamole would be amazing. Or a white cheddar or whatever cheese you like. Lemme know if you’ve tried the Jennie-O 1/3 lb. 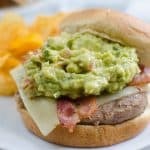 Seasoned Turkey Burgers and what your favorite toppings are. I’ll definitely be making them a lot now that I have a working grill again so give me ideas! 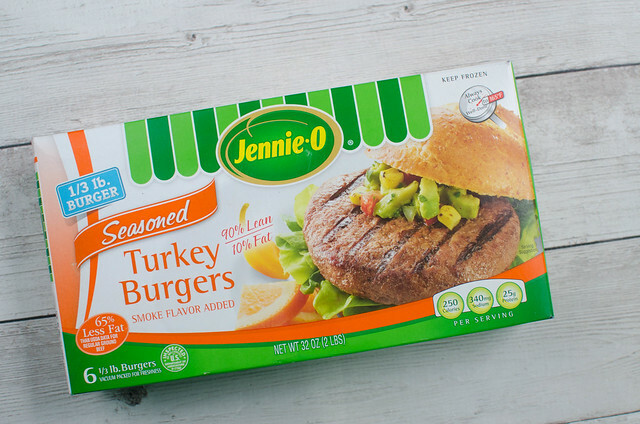 Use the Jennie-O store locator to find a grocery store near you that carries these delicious burgers! Grill burgers according to package instructions, melting cheese on top in the last minute or 2. 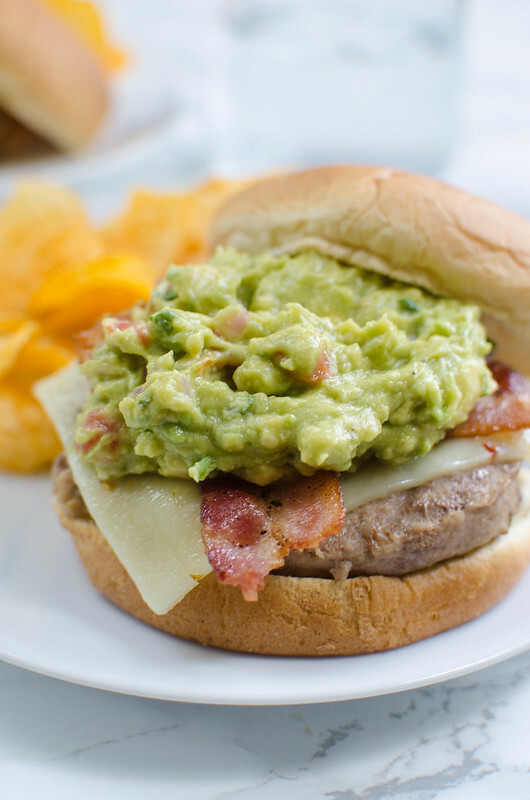 Place on toasted bun and top with bacon and 1/4 cup guacamole. Serve immediately.